Can anyone know the facts about the death of Jesus? By now, millions of people have seen The Passion of the Christ, Mel Gibson's epic drama on the death of Jesus, which opened in theaters on Ash Wednesday. It shows powerful images: Jesus's blood-drenched face, the scourging, the trail of blood on the stones, the nailing of his palms to the cross. Millions have also seen in print the arguments from various quarters concerning the movie's alleged anti-Semitic overtones. One of the film's more intriguing aspects, however, has been all but lost in the hype surrounding it. The film drew the attention of scholars because of Gibson's claim that it represents the "facts" about Jesus' death. "I wanted to bring you there and I wanted to be true to the Gospels," he has said of the movie. "That has never been done." Thus, we can surmise that what makes The Passion unique among the many embattled Jesus pictures, such as The Last Temptation of Christ, is its claim to portray the truth. But few scholars today would defend the Gospels as history. William Fulco, a Jesuit priest, archaeologist, and professor of ancient Mediterranean studies at Loyola Marymount University, translated the script of The Passion into Aramaic (the other language spoken in the movie is Latin). He is quite aware of the lack of archaeological evidence supporting the events described in the Gospels, and he has categorically denied that historical verisimilitude was an aim of the movie. He says that "tremendous efforts were expended" to insure that location, costumes, and languages in the movie had an authentic aura, but that when it came to the archaeological record, "we really have no known buildings related to this story." But Paula Fredricksen, a professor of biblical studies at Boston University and a member of a group of scholars who first raised the anti-Semitism issue, contends that the filmmakers are promoting the film as "historically accurate--when it's really nothing of the sort." She says that some of the movie's nods to historical accuracy, such as the use of Aramaic by the region's inhabitants, are undermined by dubious elements, such as the use of Latin by the Romans when addressing the locals. Greek was the lingua franca of the Roman Empire in Palestine. In the long run, The Passion may be judged to have only the most tenuous relationship to history or archaeology, but that probably won't diminish its appeal. "There is a desire that modern folks have for a sort of visual impression of this stuff--psychologically, it is very important," says Adam Porter, an archaeologist at Illinois College who specializes in Jewish and Gentile relations in antiquity. "It gives you the sense of being there." In that respect at least, the movie will represent no less truthful a picture of Jesus' life than what is now on offer to Christian tourists in the streets of Jerusalem. Although the sites that are supposed to represent the "true" setting for New Testament events are largely uncorroborated, and even refuted, by archaeological data, pilgrims still flock to the Holy Land to physically "verify" the facts of Jesus' life. If they are at all attuned to their historical surroundings, tourists retracing the route of the Passion in Jerusalem will quickly realize that what they are seeing has little to do with the life and times of Jesus. Following the sequence of events outlined in the Bible, their first stop will be the Mount of Olives and the Garden of Gethsemane. Although the Mount itself has been well known since early antiquity, the garden has proven a bit more difficult to locate. In Hebrew, Gethsemane means "oil press," so the site might have been anywhere on the olive tree-covered hill. Modern tourists are taken to the place where the fourth-century Gethsemane Church, since replaced by two other churches, was built. This, they are told, is the spot where Jesus was arrested. The next stop on the itinerary is likely to be the place where Pontius Pilate condemned Jesus. Unfortunately for those who wish to make a historical as well as religious identification, archaeologists have suggested three possible sites for this event. Traditionally, most tourists have begun their pilgrimages at the Antonia Fortress, which was a defensive tower built by Herod to protect the Temple Mount (on top of an earlier tower erected during Nehemiah's time). Archaeologists and historians, however, favor either the Hasmonean Palace, built prior to Herod's time to house the rulers of Judea and probably located in what is today the Jewish Quarter, or Herod's Palace, the remains of which are under the Citadel at Jaffa Gate. These two sites, however, would require a substantial rerouting of the Via Dolorosa, or the Way of the Cross--Jesus' path from condemnation to entombment that snakes through Jerusalem's Old City. The path was laid out in the thirteenth or fourteenth century A.D. but was based on pilgrim sites originally identified by Empress Helena in the fourth century A.D. (Helena, mother of Constantine, visited Jerusalem around A.D. 330 and "discovered" many of the Christian sites still recognized today.) Consequently, most tourists will begin their journey at the northwestern corner of the Temple Mount, where the Antonia Fortress once stood. In the immediate area of the Antonia Fortress is the Ecce Homo Arch, where Pilate, showing Jesus to the crowd, is said to have uttered this famous phrase. (Ecce Homo is Latin for "Behold the Man.") As the arch was built by the Roman emperor Hadrian (A.D. 76 to 138), the story presents certain difficulties for historians. Near the arch is the Sisters of Zion Convent, under which were found Roman pavings identified as the Lithostratos, the place of Jesus' judgment. In recent years, archaeologists have identified this structure as also dating to the time of Hadrian. The Sisters remain undeterred, however, in presenting it as the pavement where Jesus stood before Pilate. Mark Chancey, an archaeologist from Southern Methodist University, says this reflects "a legitimate religious phenomenon, even though it is not a legitimate historical enterprise." The sisters, he argues, are motivated by faith, not a desire to fudge history, and through this faith have infused the spot with true religious resonance--however lacking it may be in historical veracity. Chancey sees such an act as the "creation of sacred space by regarding some place as holy and by allowing people to connect with what they see as holy." Continuing along the Via Dolorosa, tourists will find the Church of the Flagellation and the Church of the Condemnation and Imposition of the Cross--built on medieval foundations in 1927 and 1903, respectively--which mark those events of the Passion. With the exception of these churches, however, the Via Dolorosa is lined with small shops, most of which sell items related to all three religions in the city, including crucifixes, olive-wood nativity scenes, menorahs, candlesticks, and prayer rugs. This commercialism can be a source of consternation for Christian visitors who will likely be reminded of the story of Jesus driving the merchants from the Temple. The Via Dolorosa leads directly to the Church of the Holy Sepulchre. Although it was built in the Middle Ages on a Byzantine foundation, Chancey says this may be the closest we get to Jesus in archaeology, because the tomb in the church dates to the first century, when it was outside the city walls near a gate to Jerusalem--a likely place for a crucifixion. The Holy Sepulchre is yet another sacred site discovered by Empress Helena. The huge Holy Sepulchre complex will probably be the Christian tourist's last stop, as it incorporates the end of the Passion route at Golgotha, or Calvary, the place of Jesus' crucifixion. Today Golgotha is a hall divided between the Catholic and Greek Orthodox churches. The place where Jesus' cross supposedly stood--most likely identified by the Empress Helena--is a glass-encased depression in the bedrock foundation. One of the harsh realizations Christian travelers to the Holy Land may face is the fact that many of the sites sacred to them have seen violence more recent than that inflicted upon Jesus. The Church of the Nativity in Bethlehem was the focus of daily newscasts when armed Palestinian militants seized it in 2002 and were subsequently besieged by the Israeli army, while the Church of the Holy Sepulchre is the scene of regular conflict between various Christian factions that have laid claim to the Church ("The Gospels' Holiest Shrine," March/April 2001). An uneasy truce exists that is often disrupted by riots, particularly at Easter. No one Christian community has been given keys to the church, which instead have been entrusted for centuries to two Muslim families in Jerusalem. The location of a Christian traditional sites has always been based upon the presence of an early church either from the Byzantine or the Crusader period, and still is to this day. Archaeologists and historians follow this lead, describing early church sites in terms of the New Testament events they are supposed to commemorate rather than as sites representing the periods in which they were actually built. In all of the countries with putative Christian associations, tourism officials recognize that Christians are the most loyal visitors to the Holy Land, coming in times of instability when others refuse to do so. In the 1990s, in anticipation of an influx of Christian tourists for the turning of the millennium, the antiquities departments of both Israel and Jordan engaged in a competition of sorts to locate more Christian sites--in spite of the fact that neither the year 2000 nor the designation "Holy Land" have much meaning for the majority Jewish and Muslim populations of these two countries. Among the important finds from this very recent period are the famous Baptismal Site of Jesus in Jordan, evidenced by the foundations of a fourth-century church, and the site of Mary and Joseph's Rest on the Road to Bethlehem, also determined by the foundations of a church, this one dating to the fifth century. Because of the craving for physical evidence of the Bible by devout tourists, and the strong religious, nationalist, and commercial investments in the old stories, the lack of demand for critical scholarship on the life of Jesus is hardly surprising. Archaeologists and historians are rapidly coming to the conclusion that, for most people, the past is a sort of theme park--and they want the themes to be familiar ones. "Everybody already thinks they know the story of Jesus," says Fredricksen. "A truly ancient Jesus is just too different for audiences to deal with." Fulco agrees. Without depending overly much on archaeology and history, which provide little enough support for the dramatic reconstruction of The Passion, the story must pull the audience "into the past but also convey some sort of familiarity," he says. "You are not brought back to Jesus--Jesus is brought up to your time." Like the many tours of Jerusalem that give tourists the chance to walk in Jesus' footsteps, The Passion is likely to find a large, receptive, and emotionally engaged audience--as does anyone who claims to have a new or different insight on the Jesus historical narrative. This eagerness was apparent with the quick acceptance by scholars and the public alike of the "Jesus Box," now largely discredited ("Faking Biblical History," September/October 2003). "Even if the inscription [had been] authentic, there was no reason to associate it with Jesus," says Chancey. "The scholars who were promoting the ossuary seemed to belittle that problem from the start." Certain kinds of artifacts continue to garner great publicity because people make the leap from an object or site dating from the right period to Jesus. A New Testament-period wooden craft discovered in 1986 on the mud flats of the Sea of Galilee was immediately dubbed the "Jesus Boat." Despite all of the much-touted and soon forgotten "stupendous" finds, the historical Jesus and his disciples remain elusive to scholars: The archaeological evidence for Jesus's life just isn't there. Chancey says, "It's very hard to locate one individual, particularly one from the masses. Nobody doubts that Jesus existed, but finding evidence in the archaeological record is really an impossibility." Where archaeology fears--or is unable--to tread, however, Hollywood has always displayed a willingness to rush in and, despite the lack of evidence relating to Jesus's life and ministry, his story will continue to capture the imaginations of filmmakers. And tourists to the Holy Land will continue to be guided to places where the events of the Bible "actually" took place, because, as Chancey says, that way "everybody wins--the pilgrims get to walk where Jesus walked, and the tourism industry gets the money." For more on Mel Gibson's The Passion of the Christ, see the detailed critique by Andrea Berlin (University of Minnesota) and Jodi Magness (North Carolina at Chapel Hill) on the AIA website. 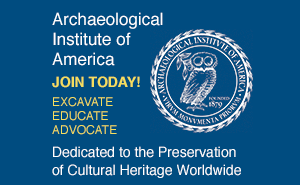 The two archaeologists conclude that the film is "hardly a historical documentary." 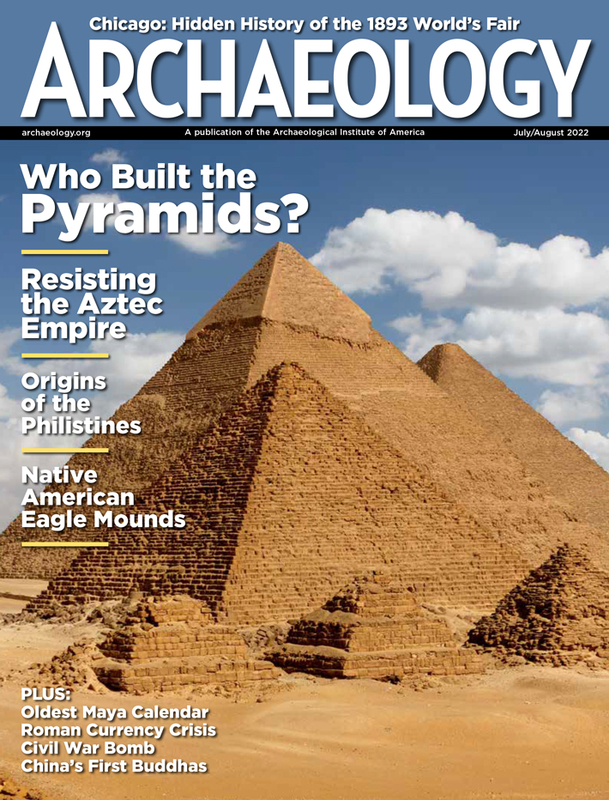 Sandra Scham, a contributing editor of ARCHAEOLOGY, is the editor of the scholarly journal Near Eastern Archaeology and a professor of biblical archaeology at the Catholic University of America in Washington, D.C., and the Open Academy of the Foundation for Jewish Studies.